Bring home the memories from your Mexican vacation. Or celebrate a feeling of the southwest or Mexico by relaxing with a cool beverage in our hand blown authentic Mexican glassware anytime, after work, or on a hot day. 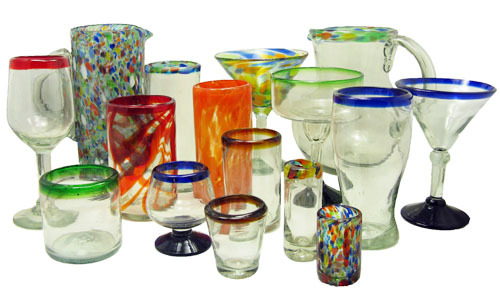 Every day will be a special occasion when you drink or serve from our colorful and unique hand blown Mexican Glassware. 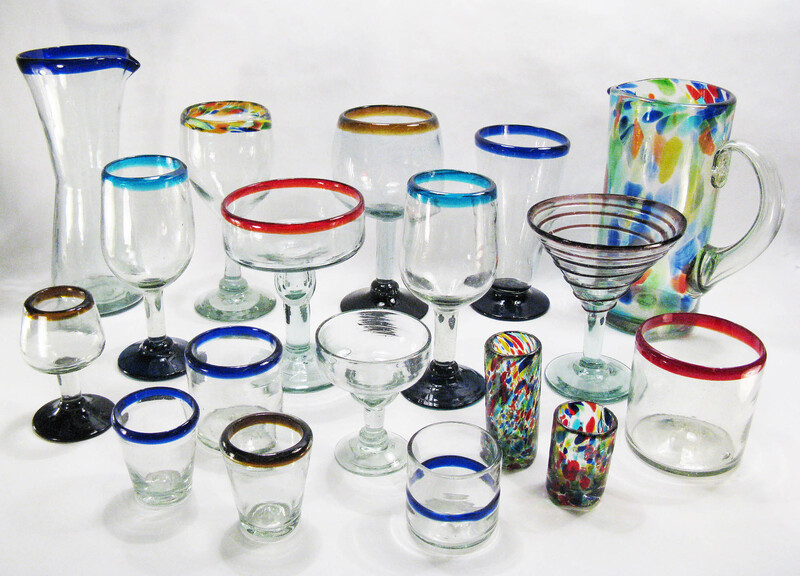 Magellan Traders offers Mexican Glassware for any occasion, whether you are dining for one or two, or catering a party. We have the styles and colors to dazzle your guests. Visit our Fused Glass Tableware that complements our Mexican Glassware. Make your own stunning table setting to enjoy for yourself or to make a good impression on your guests. For descriptions on how to set a table click here. Choose from one of the largest selections of Authentic Mexican drinking glasses with the highest in stock count on the web. Enjoy them for everyday uses, cocktail parties, luncheons or dinners, or special occasions. Magellan Traders has a huge assortment of Barware and Traditional Glassware with various shapes, glass colors, rim colors, and style. We also stock a variety of Pitchers to accommodate any beverage. This unique glassware will enhance any occasion for you and your guests. The hand blown lead free glassware makes superb gifts, too. Each is unique, with no two exactly alike. 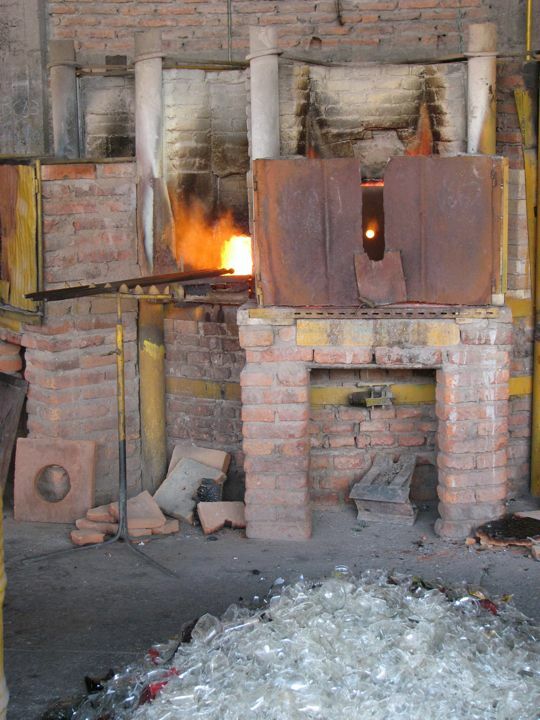 Our Glass blowers use recycled glass, made from recycled soda bottles that are 100% lead-free. All of our Mexican drink ware is also dishwasher safe. 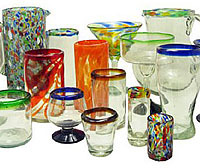 Our Mexican Glassware is sold in sets of 4, 6 and 12. Purchase by the case pack to save! 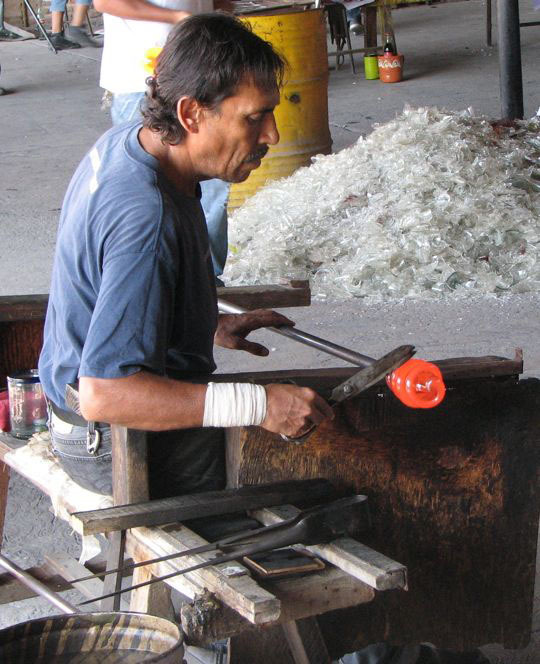 BUYING TIP: When buying blown glass, consider the total number of pieces you will need in order to receive them with the same color mixture tint and preparation, as they can vary from artisan to artisan. Don't be afraid to add some color and style to your Bar or Kitchen! Party On!